Our comprehensive roller banner stand range offers functionality and style at a price to suit all budgets. Versatile range of heights, widths, single or double-sided systems with telescopic or fixed-height bungeed poles and come complete with carry bags. Graphics are printed in high resolution onto polyester, pvc or tyvek substrates. 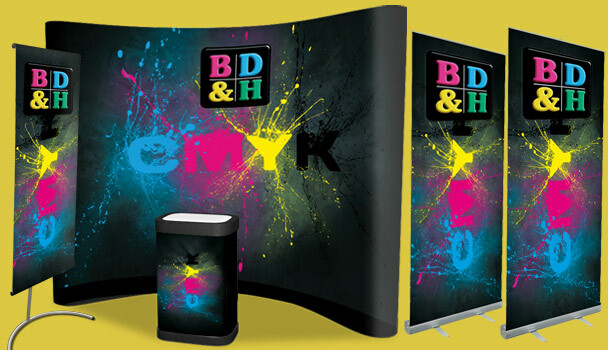 Our pop up exhibition kits are available in two size configurations and give everything you need to effectively display your message. Complete with case to lectern conversion, this self-contained system is ideal for any promotional campaign.